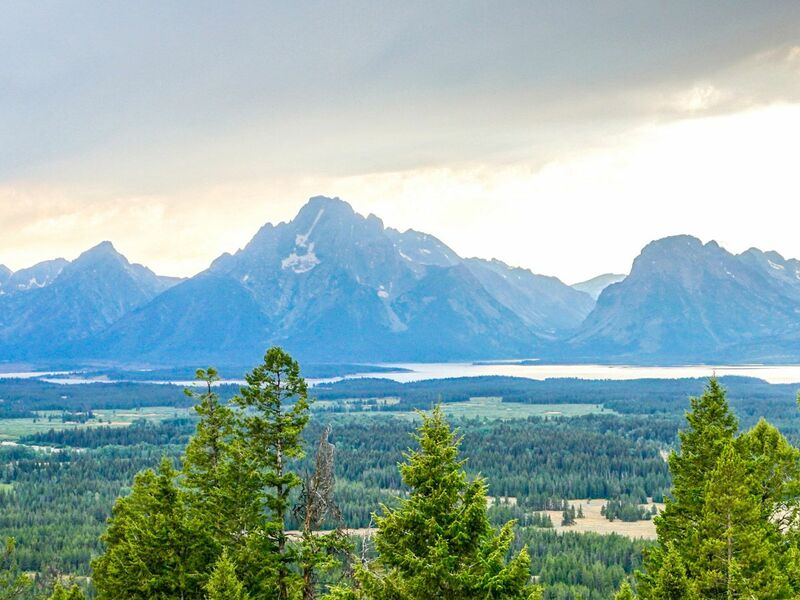 Hiking the Grand View Point Trail in Grand Teton National Park gets you to one of the finest views in the Tetons. When you finally reach the overlook, the true majesty of these mountains is illustrated in an expansive scene absolutely worth every meter of trail. The easiest way to get up to Grand View Point is to drive up an unmarked dirt road to a trailhead. This unmarked road is 1.5km north of Jackson Lake Lodge along the John D. Rockefeller Parkway. It will sneak up on you, so watch out! If you pass Pilgrim Creek you’ve gone too far. The dirt road is called Emma Matilda Lake Trail. You will drive up this dirt road and keep straight at the first two junctions. Go to the end of the road where there is a small parking lot.  Start up the trail and climb gently through a dense forest. You will reach a junction that turns right to Emma Matilda Lake. Turn left to go to Grand View Point. Keep climbing as you gain a ridge. 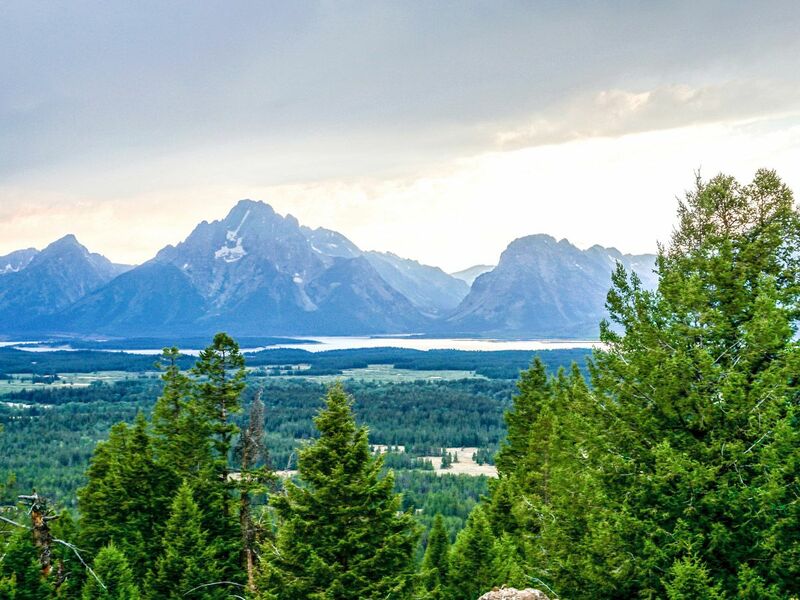 You will emerge from the trees at Grand View Point with scenes of both the Teton Range and the National Forest opposite it. All the great Teton Peaks, such as Grand Teton and Mt. Owen will unfold right in front of your view. Below them, you will be able to see Jackson Lake, and hopefully the reflections of the peaks in it! Continuing along this trail leads down to Two Ocean Lake, however you should just return to your car. The best view is at the top! Come in the early evening to get amazing dusk light on the Tetons. Make sure you have enough light to get down! Using a GPS system on your phone makes finding the dirt road much easier.